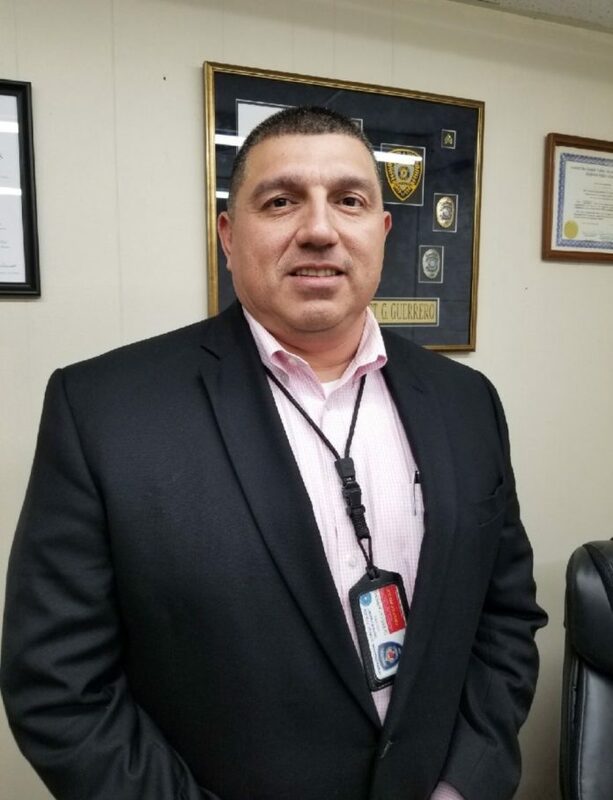 DONNA — City administration this month hired former Councilman Gilbert Guerrero, a Donna native with 25 years of law enforcement experience, to head the police department. Guerrero, a former Pharr Police Department lieutenant who most recently worked as an investigator with the Medicaid Fraud Control Unit of the Texas Attorney General’s Office, also served as a trustee on Donna school district’s board until 2008. Guerrero, a graduate of Donna High School, began his career as a patrolman for the Alamo Police Department before moving up the ranks within the Pharr Police Department where he worked for about two decades. The city will pay him an annual salary of $85,000, according to interim City Manager Carlos Yerena. The original posting on the city’s website advertised the position at $65,000 annually. “We’re looking forward for some great things from him,” Yerena said. The chief’s position was vacant following former longtime Chief Ruben “Ram” De Leon’s apparent promotion to the position of risk and emergency manager for the city of Donna. De Leon, at an annual salary of $85,500, now supervises safety and prepares for potential emergency situations including weather-related events. “Internally, they’re going to be helping us to make sure we stay within budget,” Yerena said. Guerrero said he will look at alternative ways of allocating money, including evaluating the use of asset forfeiture funds — money seized from suspects believed to be involved in crimes. In Texas, civil asset forfeiture allows law enforcement to seize money or property of a person solely suspected of a crime. Guerrero’s other goals are to retain officers, build the public’s trust and in the long-term, establish a new police station for its 43 employees. “We want (employees) to stay here, and live here if they can, and work here,” Guerrero said. While some city legislative bodies, like the Weslaco City Commission, interview police chief applicants or finalists, the Donna City Council did not. Instead, Guerrero was hired by city administration including Yerena. Mayor Rick Morales said he would like to see the police department join task forces under Guerrero’s leadership. “I will do everything I can to make sure … he has a successful tenure,” Morales said.